If Witherington's book offers a broader theoretical reflection on a theology of vocation, then Smith's book offers an accessible and concrete guide to vocational discernment. One could say the two books need each other. 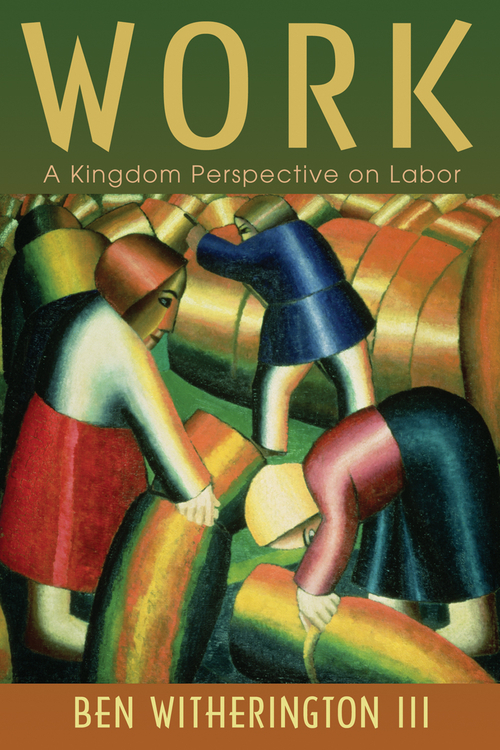 Work: A Kingdom Perspective on Labour by Ben Witherington III. Eerdmans, 2011. 192pp. Courage and Calling: Embracing Your God-Given Potential (revised and expanded edition) by Gordon T. Smith. InterVarsity Press, 2011. 269pp. In a musty courtroom, on one side of town, a public defender anxiously awaits the verdict of her client, who recently caused a car accident and did not have insurance. On the other side of town, a middle-aged man stirs a fresh can of paint that he will brush onto a house in need of aesthetic repair. Meanwhile, in a nearby rural area, a farmer carefully drives his tractor, plowing and planting, through another buzzing field. Some find their work toilsome or addicting, some find it self-defining or rewarding, and still others find it soul-crushingly oppressive. But most, I would argue, long for their work to have meaning in some way beyond generating financial support. In a sense, the crux of the issue related to work is whether or not we can honestly crown our vocations with conviction and clarity. So then, what makes our work significant and meaningful? What if we don't like our work? What if we are not sure about the ethical nature of our work? What if we don't know what sort of work we're supposed to do? Or, perhaps most importantly, how do we discern the kind of work God is calling us to do, and how might we be most faithful to that calling? These are some of the questions that Ben Witherington the III, in Work: A Kingdom Perspective on Labor (Eerdmanns 2011), and Gordon T. Smith, in his revised edition of Courage and Calling: Embracing Your God Given Potential (IVP 2011), seek to address in their recent books focused on issues of calling and vocation. Although both Witherington and Smith work in academic and theological settings, these writers offer two distinct approaches to vocational reflection and discernment. Witherington, who teaches New Testament at Asbury Theological Seminary in Wilmore, Kentucky, aims to reflect on matters of vocation from a "Kingdom-come" perspective. In this regard, Witherington wants to ask "how work looks different if one believes Christ has changed the eschatological situation by his coming and that this affects the way we look at all we do as Christians." Unlike many treatises on Christian vocation that approach the subject from a creation theology, Witherington is concerned with the ethics, faithfulness, and the urgency of our work here and now, in light of Christ's return. 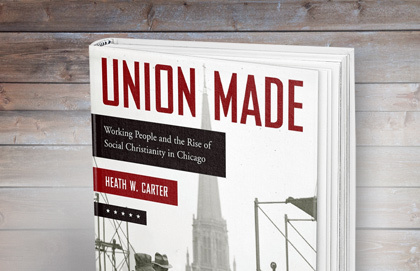 Since work is "what weaves together the very fabric of a called person's identity, and fulfills it," Witherington supplies a palate of theological evaluation resources, probing questions, and insightful discussions from scripture and tradition, in order to show how work is connected to identity-formation and discipleship. In this way, Witherington provides micro-exegetical investigations into various scriptures that offer wisdom on issues related to calling and work. He also provides helpful criteria for discussions, encouraging readers to explore the ethical boundaries of their own work from a Christian perspective. I would suggest that some of the most important work anyone could do is work that moves one to be a better person, inspires one to think about the relationship of truth and beauty and goodness, motivates one to do a better job of glorifying God. And art fits the bill in all these categories. Although Witherington praises the vocation of art as that which can raise our vision of life when oriented around, and expressive of, the beauty, truth, and goodness of God, in the end he lauds art for what it can teach us about God's artistic work in us. When we lift up our eyes, and behold true beauty, then in some sense we become what we admire; we become works of the great artisan, the great sculptor of human personality—Christ. And if the Son has set you free to be a work of art, to be your best self, you are free indeed. Witherington's broad discussion also guides readers through a variety of health and wellness issues related to vocation. For example, his discussion of "workaholism" and laziness is wonderfully chastened with a compelling discussion on the necessity of rest, play, and Sabbath. Witherington also helps readers see the dignity in various kinds of work across the vocational spectrum and claims that, when born of God's calling, work related to that call is ministry. Finally, Witherington brings the discussion to its zenith by imploring readers to be industrious, culture-making beings. While God inaugurates his Kingdom in the rule of Jesus Christ, we are called to create culture that reflects and witnesses to various aspects of this King and Kingdom, here and now. 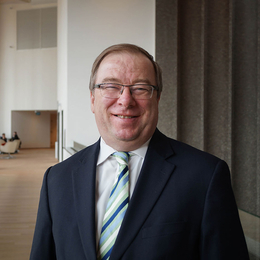 Gordon T. Smith, a professor of spiritual theology at Regent College in Vancouver, British Columbia, aims to address the nature of what he describes as our "specific calling." 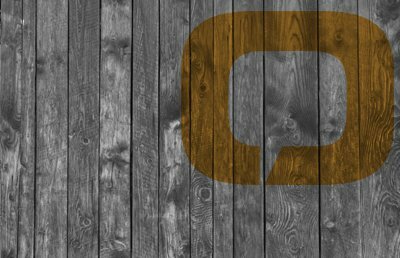 While everyone is "generally called" to follow Jesus, and while everyone has "immediate responsibilities" such as marriage, parenting, and general aspects of social responsibility, Smith wants to explore the nature of God's "specific call" on a person's life. By "specific call," Smith means "a vocation that is unique to a person; that individual's mission in the world." Like Witherington, Smith also links one's vocation with discipleship by suggesting that vocation is a broader and deeper aspect of our humanity—beyond one's occupation—that "speaks of our engagement in the world as a response to God." Unlike Witherington, however, Smith's inquiry into vocation is not driven by the urgencies of the coming Kingdom and the eventual return and judgment of Jesus Christ. Instead, Smith's discussion of vocation is designed to guide readers through honest, self-evaluation in order to foster their vocational sense of intentional stewardship as a "response to God." If we are going to thrive in this world—our only hope will be that we have a life that is congruent with who we are: who God has made us to be and how God has gifted us, graced us and thus called us. If we are going to be all that we are meant to be, this is where we must begin. Ultimately, we are only true to God and faithful to our creator when we seek this congruency. To be sure, the exploration and understanding of this congruence between one's gifts (who we are) and calling (what we are supposed to do), appears to be the driving force of Smith's book. Therefore, one of the images from Smith's book that I found most compelling was his discussion of "the ordered life" and the way it ironically liberates us into vocational clarity and thriving through structure and restraint. We do not seek order as an end to itself. Order enables us to live with courage and hope . . . and to be a people with a clear sense of call in the midst of so much change and so many uncertainties. The two poles—community and solitude—are the means by which we know the grace that enables us to live with faith, hope, and love. Community and solitude enable us to be mindful, intentional and purposeful. These are the two anchors that enable us to confront our fears and live and work and hope. Through the grace of conversation in community and the encounter with God in solitude, we can increasingly become people of courage, even in a disheartening and broken world. In an important sense, Smith claims that one's self-understanding, giftedness, and vocational clarity is born and nourished between the poles of community and solitude. This is the strength of Smith's book—it guides readers through questions and processes that help them to intentionally explore their vocation and calling. In this regard, compared to Witherington's book, Smith provides readers with less theology and in-depth analysis on various aspects of vocation from scripture and tradition. Instead, Smith offers readers a variety of concrete questions, discernment measures, and nuggets of wisdom that can be used to generate individual or group discussions for anyone needing to discover their vocational disposition. In the end, it seems that both Smith's and Witherington's books pursue different methods to point similar conclusions. Both want readers to see the connection between vocation, identity-formation, and discipleship. And both writers argue that the honest and faithful pursuit of a vocation, born of a divine call and commensurate to one's giftedness, is necessary for work to be meaningful. But the two books offer distinct approaches toward these conclusions. It seems that Witherington's book is written for someone with a basic education in theological or religious studies while Smith's book appears to be written to anyone in the Christian community. By considering use of language, content, and style, it seems Witherington's book is less accessible to those who lack formal training (or interest) in theology, but it does offer a clear, broad, and generous theological framework for vocation. Smith, on the other hand, assumes only that his readers are Christians who seek to discover their vocation with intentionality. If Witherington's book offers a broader theoretical reflection on a theology of vocation, then Smith's book offers an accessible and concrete guide to vocational discernment. One could say the two books need each other. But perhaps it is helpful to suggest that anyone seeking to develop a well-rounded Christian perspective on vocation would do well to spend time with these two books in order to seek a balance between theological reflection and methods of discernment. As was stated earlier, meaning and significance is central in the quest for vocational clarity. These books will provide helpful resources for those seeking to develop a theology of vocation, whether they are pastors, students of theology, or professors. Similarly, both books will aid Christian parishioners who are seeking to discern their vocation and calling. The crux of work is the crown of vocation, and these two books, taken together, will provide thoughtful discussion and insightful guidance for readers to begin, with clarity and conviction, the process of vocational discernment. 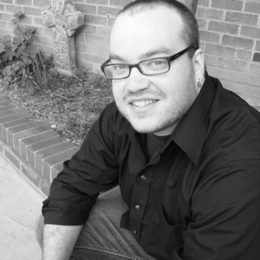 Nick Barrett is a PhD student in Theology and Culture at Fuller Theological Seminary. 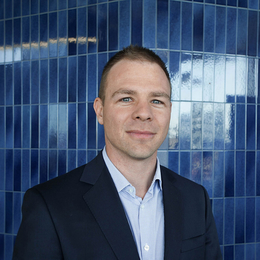 He is also a youth minister at The First Presbyterian Church of Hollywood in Hollywood, CA, and is a candidate for ordination in the PC(USA). He and his wife, Rita, live in Pasadena California. In his spare time, Nick loves writing poetry, developing skills in urban tomfoolery, and fighting with his beast-like cat named Bruce.